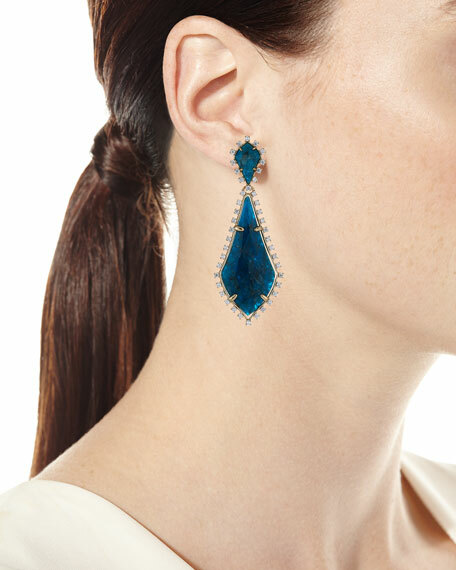 Kendra Scott "August" statement earrings. 14-karat gold plating, hematite plating, or brass. 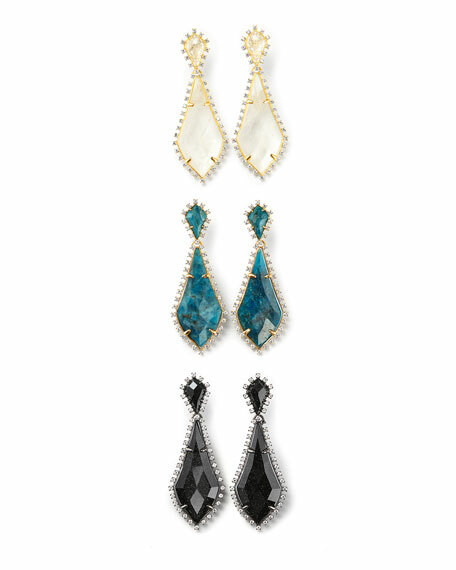 Aqua apatite, blue goldstone glass, or rock crystal. For in-store inquiries, use sku #2360946.